The level of the shadow economy in Ukraine in January-September 2018 fell by 1 percentage point (p.p.) from a year ago, to 32%, according to a report posted by the Economic Development and Trade Ministry of Ukraine on Monday. "Two of the four methods that are used to assess the level of the shadow economy showed a decrease compared to the nine months of 2017," the ministry said. At the same time, the calculations for the two other methods did not reveal changes, according to the ministry's data. According to the ministry, the fall in the shadow economy was thanks to maintaining upward economic trends and signs of general economic stabilization, strengthening market trends and the gradual optimization of pricing processes in domestic markets, including thanks to demonopolization of markets along with the tight monetary policies implemented by the NBU to curb inflation. The positive pace was also facilitated by the preservation of favorable business conditions, which, according to the authors of the report, is evidenced by a high level of business activity and improved expectations. 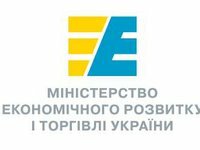 At the same time, the pace of cutting the shadow economy in Ukraine is constrained by unresolved problems that negatively affect the development of the country's economy as a whole, in particular, the presence of uncontrolled territories and the persistence of challenges to the stable functioning of the financial system, the ministry said. "Comparing the similar indicators of previous years, it should be noted: 32% is the lowest level in the past 10 years based on the period of nine months of each year," the ministry said in the report.